Lately we have been teaching our girls about the value of money. When I was growing up this wasn’t really discussed and I ended up not understanding the serious nature of debt. Hubby and I are determined to take a different route with our girls, our eldest seems to have a natural understanding but Miss Chelsea Belle hasn’t quite gotten it yet, she is still under the assumption that we have endless funds as long as we have a bank card available. We think it is important for our kids to value money even at this age so they are able to make informed decisions and establish a healthy relationship with money in the future. RBC Royal Bank has released a new iPad application, Learning Money With Leo which we have been using with Chelsea. 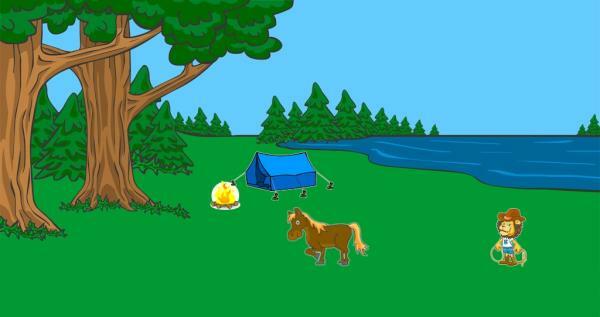 Learning Money with Leo features a variety of kid-friendly and interactive games (Match It game, Gather The Coinsand Spot The Differences)to teach your children everything from earning, to saving, to spending money. 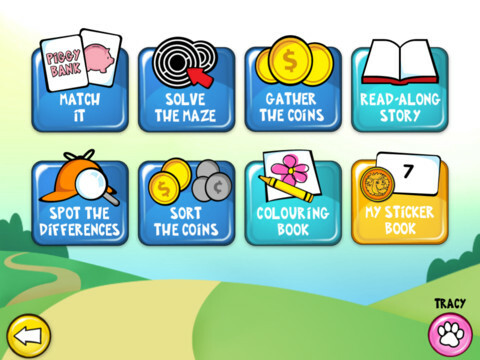 As your child plays each game they’re able to earn coins, which can be used to buy stickers for their very own virtual sticker book. Chelsea loves the games, she can easily recognize the coins and has become quite serious about filling her virtual sticker book using the coins she earns in the games. The application is available for free from iTunes in both English and French. You can find out more tips on teaching your kids about money here on the RBC website. RBC Royal Bank has provided me a $50 Visa gift card to giveaway to one lucky Canadian reader! Enter by filling out the Rafflecopter form below, winner will be drawn on April 20, 2012. Disclosure – I am participating in the RBC Learning Money With Leo program by Mom Central Canada on behalf of RBC Royal Bank. I received compensation as a thank you for participating and for sharing my honest opinion. The opinions on this blog are my own. Teaching my children about money is important because they will need to have this understanding so they won’t be consumed by debt when they are older. I am a previous banker, so I know the trouble folks can get into when Money Management isn’t learned at any early age. Interactive games or in this case an iPad app. is a great way to teach kids but remember kids really model “good money habits”. it really is tough to teach our kids value in this day and age – good for you for getting in there! Picturing my girls knowing as little as I once did frightens me enough to get moving on it! Good idea, I’m going to send this to Fred to install for the kids. It really is GREAT Mark, I am obviously not good at explaining money……spend 5 minutes with Chelsea and you’ll see that but this app really is teaching her! Kids seem to think money grows on trees, and I think it’s a great learning tool. This is great! I wonder how many adults will benefit from it as well? Teaching children about money is very important so that they will grow up to be financially responsible adults. Programs like this would have made my life a lot easier! I had to learn things the hard way. Kids today seem to have so much more at their disposal these days – it’s nice to see when they understand they the material objects that are so common actually cost money and the hard work that it takes to MAKE that money! I think it is very important to teach children about money at a early age so they don’t get into debt when they are older. I want to see my kids learn about money in a way that I never was. I have been teaching them about saving, spending and budgeting so that hopefully that don’t have to deal with debt as I have. It is important to teach my children about money so they understand you have to earn it, respect it and become responsible about it. Kids need to learn to save and spend wisely as well as knowing the difference of need and want. It’s important because I want my kid’s to know how to budget and live with in their means and how to save regardless of their income. Debt causes stress and I don’t want that for them. I don’t have children but teaching them about money is important to help lay the foundations for money management later in life. The app. is a fabulous idea, teaching kids in a fun way they can relate to and enjoy. They’re never too young because as you said Julie, some kids think the bank machine will simply keep giving it away. It’s so important to teach kids the value of money because too many people these days take it for granted. Kids need to know to manage money NOW so that we can all have a financially secure world in the future! EARN AND SAVE. Another important factor – ALWAYS have money readily accessible in case of emergencies ! You can’t always get to a BANK with things are chaotic ! I believe it’s important to learn your independance when you are young. Especially if you are a girl. I wanted my kids to know that they can rely on themselves. I wanted their relationships to be developed with independance. I started giving them an allowance when they were five. We then had then put part of it in a jar and once a month we would deposit it to their bank account and they got to watch how it grew! Teaching kids about money is important so they understand the value of money and are responsible. It is important because it is a skill they will need throughout their whole lives. Teaching them will set them up for life. I think teaching kids about money is important so they grow up responsible and know how to use money and save,and ultimately not go into debt! I don’t have children yet, but I wouldn’t want them to make the same mistakes that my siblings have made. My little girl is going to learn about money from when she can count – it’s the most important skill she can have! Kids need to know the difference between needs and wants and how to spend wisely. They need to learn that if they really want something, they need to save their money! If they don’t save their money, they won’t be able to get what they want. As a family on disability, spending-money is hard to come by… my daughter needs to learn to use what is available wisely. It’s important to teach my son about money because I hear of so many adults not handling money well. I want him to learn how to be responsible with it from a young age. I think it is even more important to teach out children about money with the state of the economy and the personal debt level they need hope for the themselves to be able to be solvent when they are older. My dad taught me the importance of money and saving. Unfortunately it never got through to my eldest brother and sister. I want to make sure my kids understand the importance so they don’t have to put themselves through what my siblings have. Kids need to respect people as well as their money. If they don’t treat it with care, it will do the same to you. Were nowhere near being rich or well off and everything is so expensive so they must learn the value of a dollar if they want a good future. I want making wise money decisions to be part of their life at an early age. 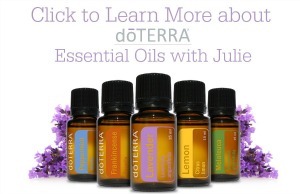 I want them to know how to save, how to spend and the value of money that they earn ! Sounds like an app, we will be trying out. My husband and I are in the process of learning how to properly manage our money after finally facing how much financial trouble we are in. Unfortunately, our oldest daughter is displaying the same attitudes toward money that got us into trouble. We desperately want to teach our children the proper approach to finances so they don’t end up where we are. my kids need to try that game out, hopefully learn what money means. It’s a life skill that will help them succeed in life. i think having a great understanding of money and savings will help them be fully functioning autonomous adults ! TO help them be financially prepared and responsible adults. Teaching children about money is very important because its an essetial part of life. They are going to need to learn how to manage and maintain their money when they get older. Its great to teach them when they are young so they have a good start in life. It’s important to me that my kids understand that they have to earn money and that saving money gives you freedom in the future. I hope these lessons make them financially responsible adults so they have less stress in their lives. Teaching the kids the about saving is important. They need to learn to save up for things they want and that money does not come easy. It’s important because they needs those skills when they become adults. It’s important to teach kids about money so they will understand its value. I want my kids to grow up knowing how to handle money – how to save, to spend wisely and to be in control. I didn’t and learning it late isn’t as good as learning it early. It is important for them to learn the value of a dollar, how to spend wisely, how to save, and how to invest….best to teach this while they are young. Teaching my LO about money is important as I want her to grow up to be responsible with money. I believe teaching kids how to save money and budget their allowance and cash gifts is really important so they don’t grow up buying with plastic or on credit and living their lives in debt. i love playing life and monopoly with my kids. It helps them to understand money. The best thing I’ve done is sponsor a child from Africa. Having the children write to each other, help them see how fortunate they really are living here. I want my daughter to be able to save money, and be able to pay off her bills each month so she doesn’t ever get overwhelmed in debt. Teaching my kids about money is important so that they don’t go into debt . It’s important to me because otherwise you end up a 20-something running up credit card debts or having bills paid by your parents without any concept of money or how it works. I think it’s important to teach children the value of money by teaching them to save and not waste it on things they really don’t need. My husband and I came into marriage with two different financial personalities. I’m a saver, a budgeter and maybe a little cheap. He’s a spender, had copious amounts of debt and didn’t care what was in his account. I want our children to be responsible, to be more like me with the ability to spend when they can or need something (took me 3 months to buy pants that didn’t fall off…). We both believe if they start now, they won’t face the same struggles he did. So they form good habits at an early age. So they grow up to be financially responsible adults. It’s important that she knows the value of money at an early age so she won’t fall into too much debt as she gets older. It’s important so that as they get older, they will be able to handle money well and not fall into debt that they can’t get out of.